Infinix Zero 3 X552 is an android smartphone that runs on Android 5.1 Lollipop out of the box, so the stock ROM we’ll be providing you guys with is the Infinix Zero 3 X552 Stock Lollipop ROM. However, if you’ve gotten your Infinix Zero 3 device, then it’s advisable you flash its stock rom, as it’s the only way to unbrick the device. Unbricking or flashing your Infinix Zero 3 X552 is no big deal. 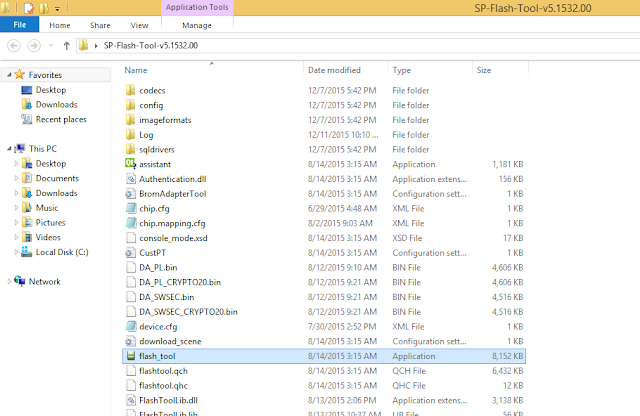 All you need is a windows computer, then download SP Flash tools here, and follow Install VCOMS driver on your system (Read installation guide here) and then you can precede to flashing the stock rom on your device. How to flash Infinix Zero 3 X552 Stock ROM? Step 1: First download the Stock ROM file here, and then extract the Stock ROM folder to the desktop screen of your computer. Step 2: Now, power off your Infinix Zero 3 X552 devices (if it’s a bricked device simply hold the power button to power off). Step 6: Now, locate the “MT6795_Android_Scatter.txt” file, which is on your desktop, also endeavor to click on the “Format All + Download” option just as circled in the image below. That’s it on how to flash Infinix Zero 3 X552 Stock ROM on any Infinix Zero 3 device. If you encountered any difficulty during the process, do let me know via comment section. Also feel free to share this guide to your friends.